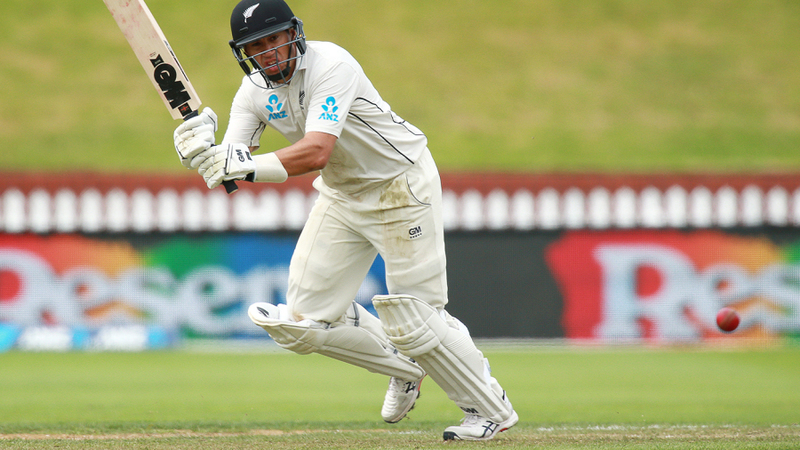 Dropped catches proved costly for Bangladesh as Ross Taylor brought up his 18th century and New Zealand closed in on a first innings lead in the rain-disrupted second Test in Wellington. At lunch on day four Monday, Taylor was on 103 with Henry Nicholls on nine as New Zealand reached 198 for three in reply to Bangladesh's 211. Taylor, dropped twice in the third over of the day, plundered 84 runs in the morning session. In partnership with skipper Kane Williamson, the pair put on a rapid 172 in 31 overs for the third wicket before Bangladesh held a catch and Williamson went for 74 just before lunch. New Zealand, still holding hope that a result was possible despite the first two days being washed out, were batting at a rapid rate. Taylor was particularly destructive after struggling to survive when he resumed the morning on 19 and Ebadat Hossain and Abu Jayad found movement for the ball that was missing when play began the previous day. In Ebadat's first over, an attempted cut by Taylor chopped the ball straight down and it bounced over the stumps. In the following over from Jayad, he was dropped by Mahmudullah at short cover, dropped by Shadman Islam at second slip and saved by his back pad when an inside edge headed stumpwards. But from there it was free-flowing from New Zealand's elder statesman who brought up his century with a huge six off Taijul Islam -- one of three sixes in an innings which also includes 14 fours. The hundred took Taylor past his mentor, the late Martin Crowe, and into second on the New Zealand list of top Test century makers, two behind Williamson who has 20. Williamson was troubled by a sore left shoulder and twice required treatment by medical staff before he was caught and bowled playing a soft shot to Taijul.